Amsterdam wanted to climb the top ten of world cities on all fronts. With this goal, the congregation gave the assignment to advertising agency KesselsKramer to make a logo of international allure. Summer 2004: the councilor of Economical business in Amsterdam, Frits Huffnagel, proudly presents the new logo of Amsterdam: ‘I Amsterdam’ will be worldwide the slogan of the capital of the Netherlands. Vanessa van Dam noticed that the logo looks exactly like the logo she made two years before the presentation. In celebration of the 125th anniversary of the newsmagazine “de Groene Amsterdammer” there were 120.000 postcards made with her slogan on it. These postcards were spread amongst cafes. 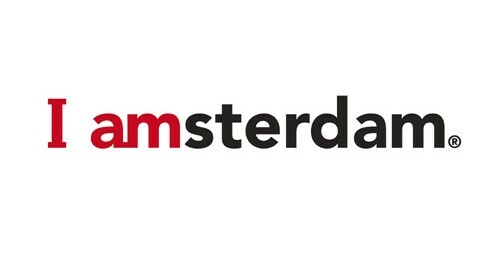 The similarity with the new logo of Amsterdam is obvious. According to LL.M. Alphons Geerlings there is no doubt that the logo was stolen from Vanessa van Dam. “You can not look in everyone’s drawer to see which works are in there. So, you can never know for sure that your idea isn’t already invented.” explains Geerlings. But in this case, the postcards were spread amongst cafes, it is unlikely that no one from KesselKramer have seen the slogan before.